Starmark International, a full service marketing communications agency, has been named to the Inc. 500 ranking of the fastest-growing private companies in the country for the sixth time in the agency’s 25-year history. Starmark ranks #43 on the 2003 Inc. 500 (#3 in the Advertising & Marketing category) with five-year sales growth of 2,929% at a time when the advertising industry overall has been mired in a three-year slump. According to statistics published in June 2003 by Universal McCann, the global media services operation of McCann-Erickson WorldGroup, total U.S. advertising expenditures fell 6.5% from an all-time high of $247.5 billion in 2000 to $231.3 billion in 2001. The industry saw modest 2.4% growth in 2002. So notable, in fact, is Starmark’s achievement that the company is the subject of the Introduction article to the 2003 Inc. 500 Special Issue. The article cites Starmark’s return to the Inc. 500 as notable in part because the company was absent from the list for 16 years the longest lapse in Inc. 500 history before making its triumphal return. The Inc. 500 ranks privately held companies according to sales growth over the past five years. To be eligible for this year’s Inc. 500, companies had to be independent and privately held through their fiscal year 2002, have had at least $200,000 in sales in the base year of 1998, and their 2002 sales had to exceed 2001 sales. Inc. verifies all information using tax forms and financial statements from certified public accountants and by conducting interviews with company officials. 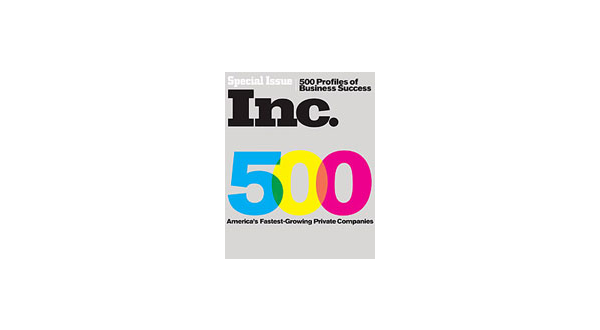 The Inc. 500 Special Issue will appear on newsstands October 14. The entrepreneurs you’ll find on the Inc. 500 have the type of attitude we need to get this economy moving again, said Inc. editor-in-chief John Koten. For them, a tough market is not an excuse for poor performance, but an opportunity to innovate and rise above the competition. Inc., the only business magazine dedicated exclusively to owners and managers of fast-growing private companies, delivers real solutions for today’s innovative company builders. It provides hands-on tools and market-tested strategies for managing people, finances, sales, marketing and technology. Inc. is the premier publication that focuses on small-to-medium size businesses, which are responsible for more than half the nation’s gross domestic product and 75% of its new jobs. And Inc. looks beyond work to address the entrepreneurial lifestyle. Inc., a Gruner + Jahr USA publication, inspires and informs, with cutting edge coverage that reflects our readers’ energy, brashness and imagination. Starmark International specializes in the seamless integration of multiple marketing disciplines branding, advertising, Internet development, direct response and public relations among them toward the effective fulfillment of client business goals. Originally founded in Chicago in 1978, Starmark was the first company named to Inc. Magazine’s List of the 500 Fastest Growing Privately Held Companies for five years in a row. Now headquartered in Fort Lauderdale, FL, Starmark combines a team-focused approach to client service, creativity, time-tested business acumen and technological know-how to help clients succeed in today’s fast-paced global economy. Inc. 500 companies have thrived through continued stagnation in the economy, posting an average five-year sales growth of 1,312%. With aggregate revenue of $14.4 billion, Inc. 500 companies are a formidable market force. While the U.S. economy shed 1.5 million jobs in 2002, Inc. 500 companies half of which were launched with less than $20,000 provided employment for 67,973 people. California leads this year as the state with the most Inc. 500 companies (59). Texas is second with 36, followed by Florida (34) and Virginia (30). Maryland and New York are tied with 28 each. The top metropolitan areas on the Inc. 500 are Washington, D.C. (41 companies), followed by Boston (23), Philadelphia (21), Dallas (19) and Chicago (14). New York City, with only 12, is down from 37 a year ago. Inc. 500 is proof that tenacious businesspeople can succeed without the benefit of substantial resources. Of the Inc. 500 founders, 48% had start-up capital of less than $20,000, while only 2% received funding from Venture Capital firms. Now, 78% have an estimated net worth of more than $1 million. Most Inc. 500 founders jumped right into their businesses; 84% started companies without benefit of any formal research. 12% of Inc. 500 company founders are women. Entrepreneurs leading Defense, Advertising & Marketing and Retail companies are poised to do the most hiring over the next year. The industry with the strongest showing on this year’s list is Financial Services, followed by Healthcare, Software, Information Technology Services and Advertising & Marketing. Over the years, the Inc. 500 has identified the next generation of world-class companies, with Microsoft, Stoneyfield Farm, Timberland, Oracle, Princeton Review, Morningstar, E* Trade, Intuit and Domino’s Pizza all appearing on the list before they became industry powerhouses.